“Sign to me” is a CD-ROM containing over 1700 video clips of everyday signs. It loads automatically when placed in the CD drive of the computer and is easy to use. It is presented by a young, deaf boy thus promoting a positive role model for other deaf youngsters. It differs from other materials of its kind in that it has the facility for the user to access either BSL (British Sign Language) of SSE (Sign supported English) the quality of speech alongside signs is good. This makes it an invaluable resource for anybody, deaf or hearing, who is interested in learning to sign. The package could also be used to support and encourage the development of language and literacy skills with pre-readers, pupils with specific learning difficulties and those with a range of language and communication disorders. The magnifying facility means that it will also be accessible to those with visual impairment. The user-friendly format of this package makes it suitable for use in school, in the home or as part of a training package. When using the SSE version of the package it is possible to increase or decrease the volume. This will be particularly beneficial to hearing impaired users who can adjust the volume to suit their needs. It is also possible for visually impaired users to magnify images to full screen mode. Has an alphabet database of more than 1700 video clips of everyday signs. This also shows regional variations in BSL signs. A colour picture accompanies each sign and shows the chosen word being used in a sentence to provide context. Images can be magnified. It is possible to browse a specific section of the alphabet by clicking on the required letter via the alphabet bar at the top of the screen. The scroll bar can then be used to view all the words in that section. Choose a word by clicking on the selected picture. A video clip of chosen sign is then shown with an example sentence underneath it. By clicking on the fingerspelling button, the chosen word will be fingerspelt. This is likely to be beneficial to adults and children with literacy difficulties and weak spelling skills and to those who are just learning to sign and find it helpful to think in categories. The picture dictionary is divided into clear categories. For example: letters, animals, colours, food and drink, hobbies, numbers, people. 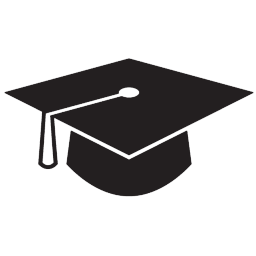 Each category is illustrated with a colourful symbol. The user simply clicks on the chosen category to display a range of pictures with signed video clips grouped accordingly. This is an excellent resource for helping the user to improve his or her speed of fingerspelling. 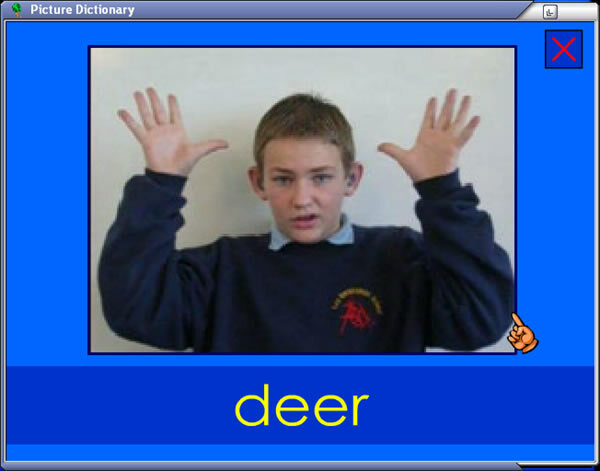 Video clips of BSL fingerspelling can be used to spell any word that is typed in. There is a choice of 3 fingerspelling speeds. If a word from the “Sign to me” database is chosen, a picture to represent the word will also be displayed. In the centre of the screen, the video clips of the young deaf signer are displayed. The game begins when the start button is clicked. A video clip is shown and the player is required to match this sign by clicking on the correct picture (choice of 8). An incorrect response offers the player the option of trying again or of being shown the correct sign. The game ends after 15 turns. Good fun to play. 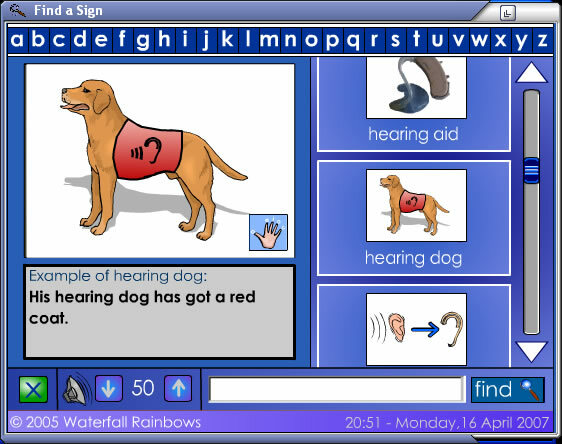 This part of the program allows the user to print lists of spelling, accompanied by pictures from the word list in “Find a sign”. Flashcards can also be created by typing words into boxes provided. If the chosen words appear in “Find a sign” a picture will appear above the word. Own words and pictures can also be added by consulting the help section for guidance. The full screen option can also be found here. “Sign to Me” is an invaluable resource – a cut above the rest in that it has the facility to use SSE with sound accompanying signs to support partially hearing and hearing users. The colourful pictures, engaging activities and clear presentation serve to make this program attractive to adults and children of all ages and abilities. Find a sign enables you to search more than 1700 everyday BSL signs. Each video is accompanied by an illustration, audio speech, definition, and fingerspelling. This British Sign Language dictionary is ideal for use at home, in the classroom, or at work. 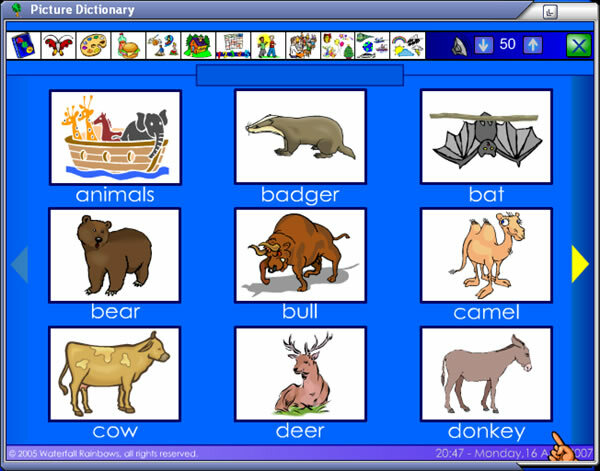 The Picture Signs section of this CD-ROM enables children or adults who find reading difficult to access the signs using an illustrated category based interface. This means that the signs can be easily browsed with or without any English reading experience. Pairs Game is a great way to quickly increase your vocabulary knowledge. 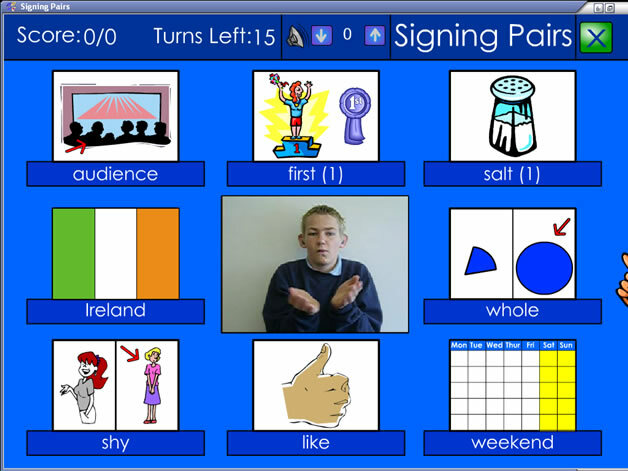 The player needs to match a British Sign Language video to the appropriate illustration. Fingerspelling tools are included in all parts of this CD-ROM enabling you to practice your fingerspelling skills. Sign to Me is a Windows based package which will run on Windows 98SE and above. Sign to Me is available under site-license for schools and other organisations. Please email us for further information.